Solid Brass Belt Buckle with functional roller and two leather loops. A classic trustworthy Smooth Glove Soft leather belt, feather-edged,1 1/8" wide. 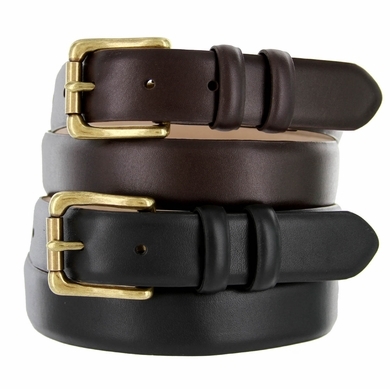 Men's leather dress belt lined with soft Genuine Leather.